Making raw chocolate bars is a relatively simple process, it just requires a bit of melting and stirring. I have made a few versions of this type of chocolate, but I’d never thought about trying to make my own “real chocolate bar” – until now. It’s a lot easier than you might think. Libraries are wonderful places. The last time I visited our local library, I ended up browsing through a copy of the very interesting Groundnut Cookbook. It wasn’t long before I came across a recipe for a Dark Chocolate Bar: cue double take, *ding*, really? Wow! I’d kind of assumed one needed all sorts of complicated equipment to make bean to bar chocolate at home, but it seems not. This I just had to try. Of course I went my own way as usual. The method used in the book required a lot of “conching” by hand in a pestle and mortar. Blow that! I wanted to see if my trusty Optimum 9200A Next Generation blender was up to the job. Turned out it was, even though getting it to grind and meld the chocolate required a bit of experimentation. This super fast blender can get hot very quickly and I didn’t want to burn the chocolate. The main difficulty I experienced was having only fifty grams of cocoa nibs in the house. This meant adapting the quantities given in the recipe and more importantly, it wasn’t quite enough for the blades to reach properly; I had to do several quick bursts of blending, followed by scraping out the chocolate mixture from the bottom. A hundred grams or more would have worked much better. It also wasn’t enough to fill my chocolate mould, so I ended up with a three quarters bars rather than a full one. Okay, the end result wasn’t the most sophisticated chocolate I’ve ever eaten, the texture was in fact quite grainy, but hey, I’d made my very own chocolate bar from scratch. I couldn’t resist doing a few jigs around the house; I was, just a little bit excited. It had a nice shine to it, an excellent snap and it tasted really rather nice. It was so good in fact, I had a hard time not demolishing the whole thing immediately. I did manage to save some for CT’s return later in the day, however. He gave it the thumbs up, broadly hinting I should devote myself to this latest bean-to-bar pastime. 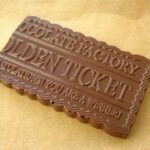 The fabulous golden ticket chocolate mould came from the lovely Celia over at Fig Jam and Lime Cordial a few years ago and it’s my absolute favourite. The Groundnut Cookbook by Duval Timothy, Jacob Fodio Todd and Folayemi Brown is full of intriguing recipes from all over Africa. You can find out more about the wonders of the Optimum 9200A Next Generation by reading my original review. A dark chocolate bar made in a high speed blender with cocoa nibs and cocoa butter. Place the cocoa nibs, sugar and salt in a powerful blender (I used my Froothie Optimum 9200A Next Generation) and pulse until a fine powder has formed. Add the cocoa butter and blend on medium for 30 second bursts, being careful to not overheat the chocolate, which can get easily burnt. You may need to scrape the mixture up from the bottom in between bursts. Keep going until the mixture has formed a smooth and shiny paste. Ideally you want a pourable liquid, but I didn't get that. Scrape out (or pour) into a chocolate mould, or suitable sized tin. Press with a back of a spoon to ensure an even layer. Leave for an hour or so in a cool place to set. Unmould and dance a little jig of joy. Doubling the quantities would make the process easier. You may want to add a little more sugar if you like your chocolate sweet. I’m sending this homemade chocolate bar off to Emily at A Mummy Too for Recipe of the Week. If you make this dark chocolate bar, I’d love to hear about it in the comments below or via social media. A photo is always good too. For more delicious and nutritious recipes, follow me on Twitter, Facebook, Instagram or Pinterest. Homemade Chocolate Bar. PIN IT. I use a Froothie power blender to make smoothies, spreads, sauces and even chocolate making. All links to the blender are affiliate ones. If you buy one through one of the links, it will not cost you any more, but I will get a small commission. This is not a paid post and as always, all opinions are my own. Yay!!! Well done! I had to stop by for a read. Thanks Jac, I am still feeling ridiculously excited about this. AMAZING! I have a feeling if I tried it, it wouldn’t go so well. I need to get myself one of those moulds and then give it a go though. Well I must say I rather surprised myself. I wasn’t at all sure it would work Tracy. So impressed. 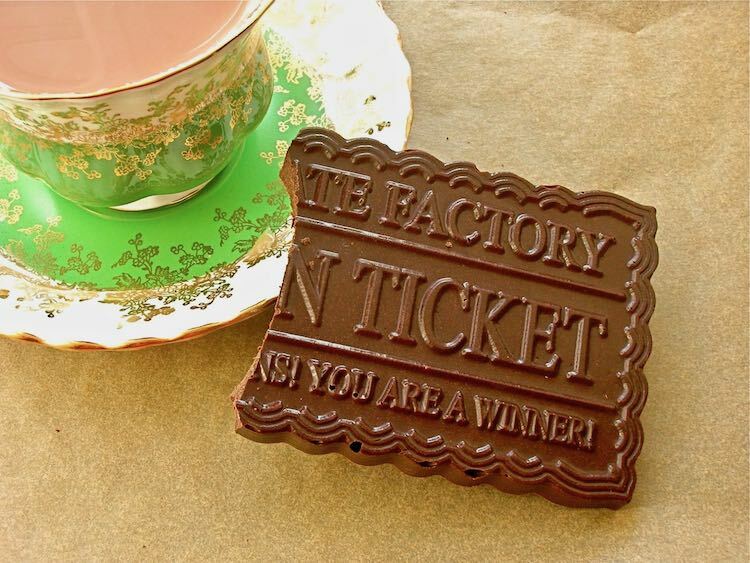 Keep at it, you will be running your own chocolate shop in no time! Lovely, would never have thought to use my froothie like this!! Thanks Liz, I’m still feeling rather amazed. Celia’s mould is really special and I was really pleased to be able to use it in this first Tin and Thyme bean to bar. I was so impressed when I saw this on your Instagram, it look so professional! I watched Willie Harcourt-Cooze on that program where he makes chocolate and it looked so complicated, but I suppose he was or is making it on a scale to sell it to the masses. I never thought of making just one bar to enjoy at home! It looks great, definitely a dancing moment! this looks brill- so professional!! Thanks Roz, I can’t quite bring myself to finish it off as I want to prove I really did it. This looks delicious. I had a go at making my own raw chocolates recently using a kit that was sent to me to review on my blog; I was surprised at how easy it is. I love the mould, too! Yes, raw chocolate is quite easy, but even this wasn’t too difficult. Gorgeous, I’d love to try this, I just need a high powered blender now I suppose! Where did you get Cocoa butter from? Thanks Camilla. I got mine from a health food shop – most good ones should stock it. This is awesome.. kids will be so happy. I think it might be a bit too dark for children Shobha, it’s more of an adult’s chocolate. 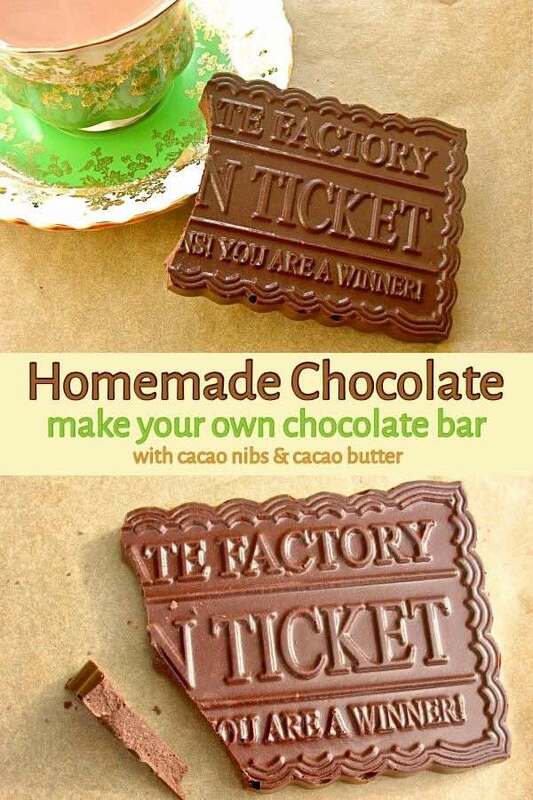 Love the idea of making your own chocolate. This would make for an awesome gift for the holidays coming up! 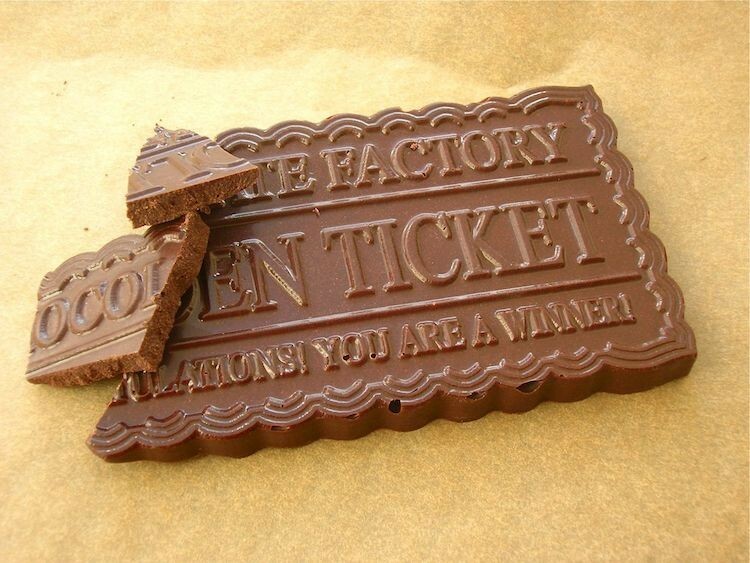 I love that chocolate mold! I’ve tried a few times to make my own chocolate, but have never gotten it quite right. Nicely done! If I start making these I will not stop. Looks fab Choclette. Well done! Definitely worth a jig (or three!! )… Looks perfect even if it was a little grainy….. But who cares? It was all yours!!!!! what a great idea. Where did you get the cocoa nibs from? It sounds like the sort of thing I might try at home too! I got them from a health food shop Fiona, any worth it’s salt will stock them. Chocolate made from scratch that’s impressive indeed. Yes, I love it too. I’ve made some raw choc from scratch, but not a bar – very impressive. I have some Cacao nibs in the kitchen, I have plans what to do with them – just never seem to get round to cutting open the packets. Thanks Shaheen. I know the, too many exciting things to do and just not enough time to do them in.